This book blew me away. It will tear at your heart, pull it back in again and give you renewed hope that despite what life throws at you, life is ultimately good. Alice is 15 years old and broken. After an assault, Alice is left with acquired brain injury which leaves her unable to talk. Her words stumble out slow and awkward, so she hardly talks to anyone except her brother Joey and her Gram. Joey is a wonderful supporting younger brother taking on responsibilities beyond his age. Their Gram is old and in very poor health and the rest of the family are gone. Alice also suffers from seizures – her electrics are broken, as she says so she doesn’t go to school. She stays home and writes the words she struggles to say. Alice writes beautiful poems that say so much more than she is capable of with speech. She leaves her poems in different places about town, hoping they might be found. Manny is 16 years old and runs at night trying to block out the pain from when he was a boy soldier, before he came to this safe country. It is Manny who finds one of Alice’s poems and seeks to find out about the writer. This book is both tender and terrifying. Alice and Manny hold secrets and truths from each other. Secrets so awful that I was moved to tears. Almost all of the characters are flawed but that is the reality of life. Their pain and grief is raw. I just wanted to hug them both and tell them things will be okay. Alice’s poems flow with such ease when she writes but Manny can see beyond the poems and her brain injury. Theirs is a love story about hurt and hate but ultimately about healing. It is an incredibly powerful book. The novel is written without capital letters and while it might seem strange at first, it works perfectly and as you read not only do you become accustomed to the style but you get to know Alice as she really is and bit by bit you see her change. Seriously, when this comes out in February do look out for it. It deals with some tough issues but is beautifully written and it will leave an impact. If you are using this in class I would certainly recommend the teaching notes on this link. 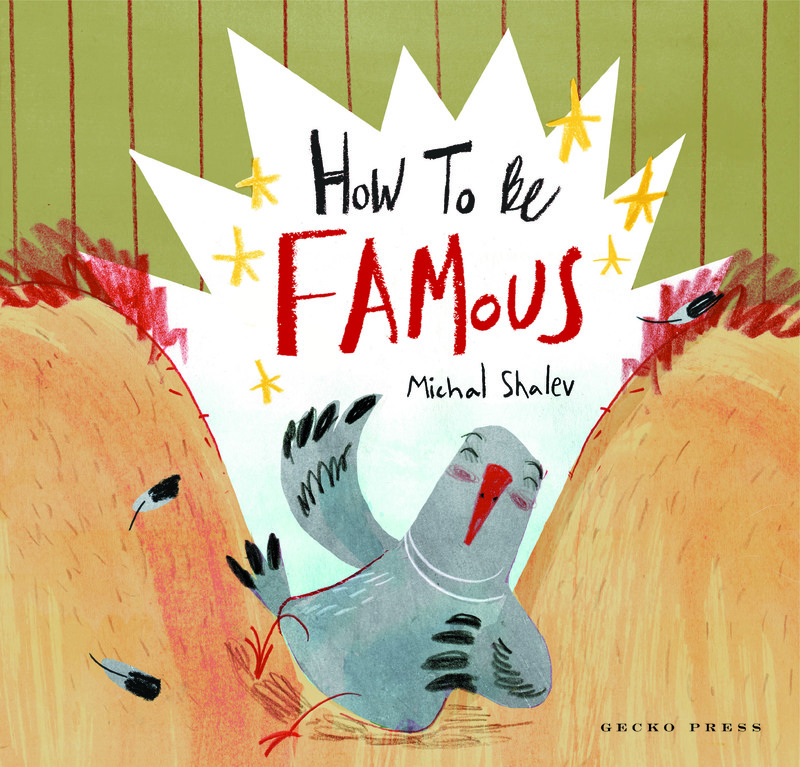 The pigeon at the centre of this very funny picture book is very self-absorbed. Coming from a long, long line of very famous pigeons she is of course, in her own, not so humble opinion, even more famous than the others. Pigeon lives in a zoo with animals everywhere and visitors taking photos of the animals. I love how she poses for photos with the other animals totally believing people are taking photos of her because of how famous she is. The truth is just a little different and a whole lot funnier. The laugh-out-loud ending will delight readers of all ages. One of the key points of the story is that if we are so busy showing off and being full of ourselves, we often miss just what is going on around us. Is there a lesson in there somewhere about being overly confident – sure there is – but I would read this over and over again just for the fun. Despite her rather large ego, she is a character that will win friends with readers. I certainly love her. For teachers this is a great read, especially at the start of the year when new classes and groups of students are being introduced. To make the most of this picture book Gecko Press have supplied teaching notes here. 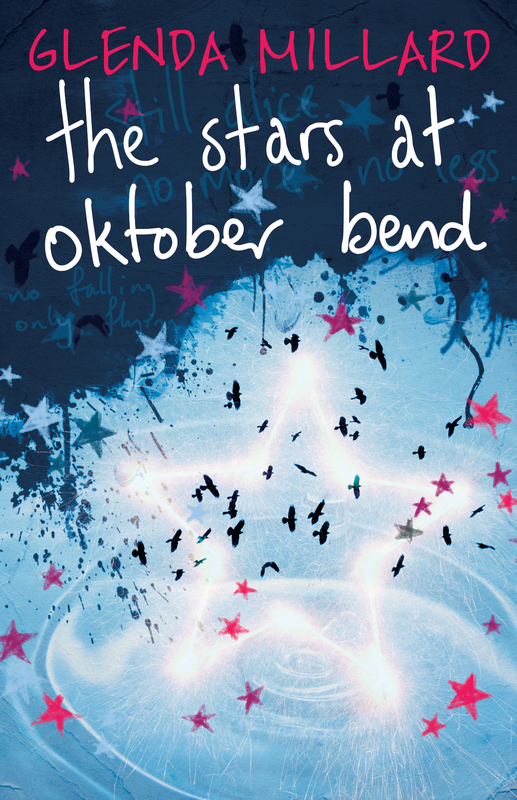 As always, the cover is copyright and belongs to Gecko Press. Anna Lania is only seven years old when on the 6th November, 1939 her father is taken by the Germans to a prison in Krakow and she is left alone waiting for his return, which of course isnt going to happen. While waiting ever so patiently, just as a good girl should, she meets the Swallow Man. Anna’s father had taught and encouraged Anna to speak many languages and she is very skilled at pulling the languages she needs to communicate with others. This mysterious man also speaks many languages and it is this ability which first brings them together. After a brief talk and instructions to “stay out of sight” Anna decides to follows him, not quite sure if she was meant to or not but it is here their journey of survival begins. Together they journey through cold harsh winters with nowhere to sleep and nothing to eat. The war is happening all around but they hover always on the edge of capture, never quite being caught. 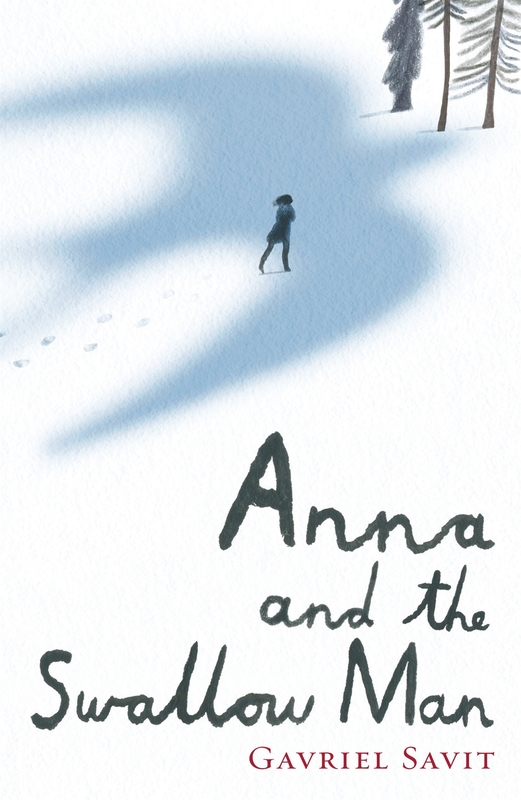 The Swallow Man tells Anna stories to pass the time as they tread on and on throughout the seasons, across different borders and back again, all while the war continues. The writing of this novel flows beautifully. It is both subtle and sophisticated. There is little dialogue but the story unwinds without the need of it and is indeed part of the mystery behind this quiet, strange man. One of the strengths in this novel is Anna’s trust in the Swallow Man. It is honest and absolute and I couldn’t help but be moved by their relationship and intrigued by the man himself. They avoid strangers but one day they meet a man, Reb Hirschl who joins them and the impact of this is both wonderful and dangerous. I loved Reb for his enthusiasm and philosophical look on life. He is in stark contrast to the Swallow Man and this creates its own problems. This is a poignant, yet intriguing novel with perhaps a somewhat ambiguous ending but that itself is part of the mystery and what gives this book its power to move readers. Watch out for this book coming in January. Aimed I feel, at Intermediate and Secondary school readers, but adults too will get much out of this novel. Everything, everything by Nicola Yoon @NicolaYoon YA novel – romance, illness and taking risks! Madeline is used to a very isolated life, with only her mother and her nurse/carer for company. She has never left the house not even to touch the trees outside or feel the wind on her face. However, when a family move next door Madeline begins to challenge everything she has ever known. Madeline watches the family, in particular Olly a tall, lean teen all dressed in black. Despite her illness and isolation they begin a rather unique relationship. It isn’t long before Olly’s own issues challenge Madeline to take the biggest risk of her life. This is a good read for those who love something different with a bit of romance thrown in. Okay, maybe a bit more than just a little romance but it is more than that. It’s about taking risks and being true to yourself. Madeline learns she is stronger than she thinks. Currently a bestseller in the USA so you might want to find a copy of this and enjoy it for yourself. While this is the fourth book of tales from Fontania it is like the others, a standalone novel with its own stories. Each book can be read on its own but what does connect the books is the place itself. Fontania is a place of mystery and magic with a bit of mayhem in-between. The knot impossible is the story of Rufkin a young boy for whom so much seems to be going wrong. His complete and utter fear of performing leaves his acting family with no choice but to leave him in the care of the Mccacks, while they tour. A sense of abandonment weighs heavy on his mind but soon he is drawn in to a great adventure of his own, rescuing a little boy and sailing heavy seas. He meets many characters on this journey, some are good and others downright bad. There are cave-lizards to be avoided and just what is it that is lurking beneath the sea. A little fantasy, a little steampunk and a whole heap of thrills. Rudkin’s biggest problem, is deciding whom to trust! And of course he needs to work this out before “the end-of-days”. This is another great read from author Barbara Else and of course beautifully packaged by Gecko Press. 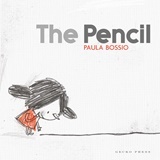 Barbara’s use of language is creative and quirky with its own little idiosyncrasies which adds to the story. It is great to see a character grow and Rufkin does. He finds courage where he least expected to find it so to me – that is just wonderful. There is still plenty of summer holiday here in the Southern Hemisphere to find a copy of this book and enjoy reading before school starts up again. A great book for middle grade readers. I love the supporting map on the inside cover.